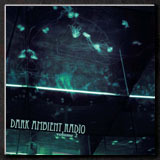 Dahlia's Tear, a Swedish dark ambient project. The sound of Dahlia’s Tear can be described as dark ambient with various sound elements and sub-genres such as experimental music, industrial and occasionally electronica music. 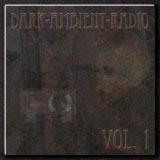 The music produced by Dahlia's Tear variously dark ambient, drone soundscapes with themes of nature. "Under Seven Skies" was released by German Record Label 'Thonar Records' in December 07. 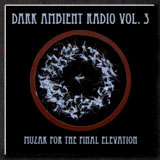 "Under Seven Skies" CD has characteristic dreamy-dark atmosphere enforced by new sound elements such as distorted guitar, noise- combined with dull occasionally drone frequencies, down tempo structures and in addition hypnotic pulsations of rhytym combine with twisting layers of cold vocal experiments.With these seven tracks, "Under Seven Skies" brings a new approach to dark ambient music with extension of unique soundworlds layered by masterful narrative layout. Underneath the lush skin of melodic layers, the complexity combines with minimalistic music that shows up in the small details of overall architecture. "Under Seven Skies" CD includes seven tracks with a total running time about 50 minutes. Die Samples auf myspace klingen fantastisch! Both the latest and the older track shared in myspace are really pleasant. As it was mentioned there are some nice new or at least not that commonly used approaches for creating amazing soundscapes. It will be nice to hear more from this project in DAR.